500 posts on DD! Woo- That’s a LOT of desserts. And to think, those are just the ones that I actually got around to blogging about! (For every dessert I write up on, there’re about 4-5 others for which I don’t). So as we reach this milestone together, I’d like to ask you about how I’m doing as your Dessert Darling and learn what you’d like to see more of. Check out the poll or comment below to let me know your thoughts! I’m all ears (and mouth). Thanksgiving is just around the corner and I’m very curious… What’s your favorite Thanksgiving Dessert!? HAPPY HALLOWEEN! Oh how I remember the giddy anticipation of getting to dressed up and collecting as much candy as possible! Forget a small plastic pumpkin container, I’d collect a a full pillow case of loot! (which, in hindsight, is disgusting and my future children will do no such thing). 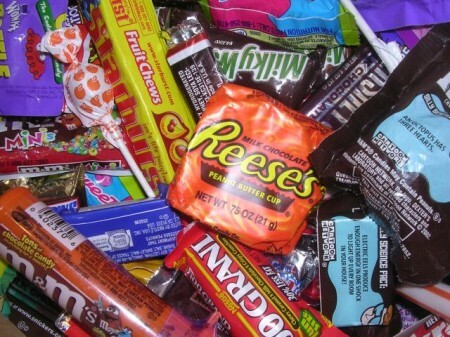 So today I ask you this- what was your Favorite candy to collect on Halloween night as a kid? Royal Wedding Royal Wedding Royal Wedding! Cake & Party Treats! Did you hear?!? There’s going to be a ROYAL WEDDING! "Please pass the Sword. 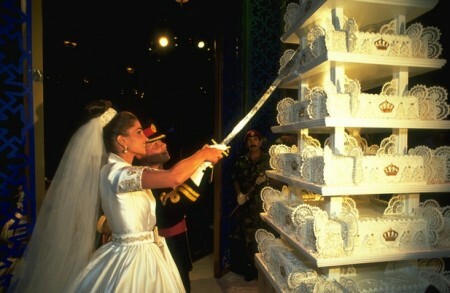 I have a Cake to cut, Darling"
Let’s talk Royal cake. 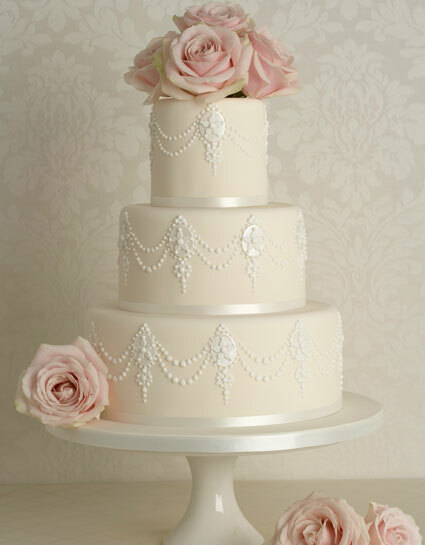 According to the Huff Post there will be 2 wedding cakes: a traditional Fruit Cake with white cream frosting, and Prince Williamn’s childhood fave, a Chocolate Biscuit Cake. And how cute are these cookies!? Ok, maybe a little silly- but all in good fun. 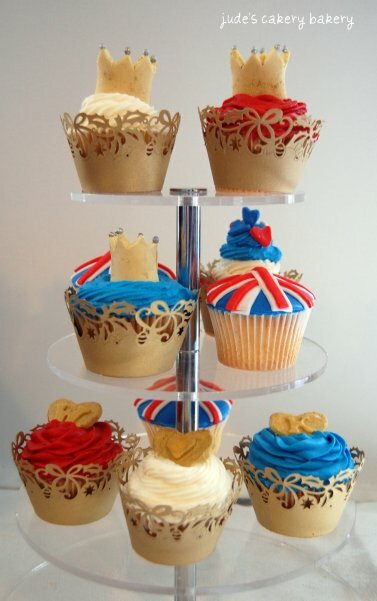 I’m also tickled by these cupcakes from Jude’s Bakery in the UK. 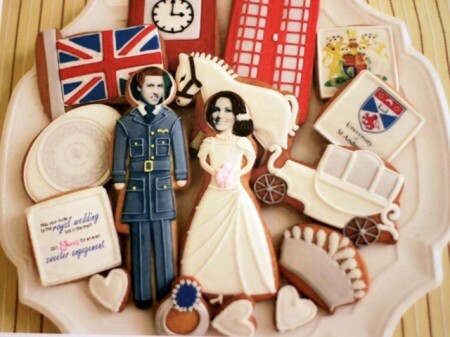 Will you be having a Royal Wedding Party in the wee early hours? I will be getting beauty sleep for our friends’ wedding at the Beverly Hills Hotel this weekend. And in these parts, that’s royalty, Baby! This weekend we celebrated my friend Amanda’s birthday with this heavenly cake from Cake and Art in West Hollywood. 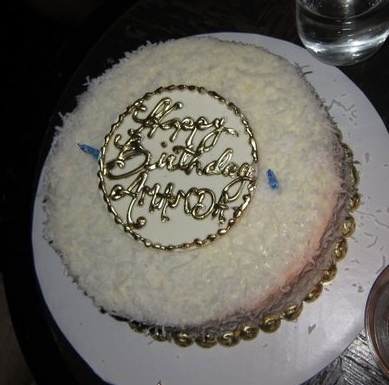 As I was doing my investigative research, I learned that Amanda’s favorite birthday cake is Chocolate Cake with Cream Cheese Frosting and Coconut on top! Wowee- now that’s not a combo that you hear everyday! It got me wondering… What’s YOUR favorite birthday cake??? Just some of the crew that was there to say: HAPPY BIRTHDAY AMANDA!! Recently we had a very heated and close poll between Reese’s Pieces and Peanut Butter M&Ms (click here to see!). Today I’m pitching Baby Ruth versus Snickers. 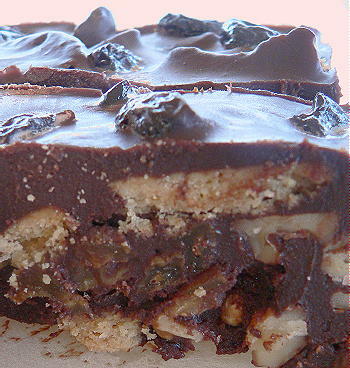 Which chocolatey, caramel, nougat and nut candybar do you prefer?! So last night my guy and I made it a Blockbuster night, and we got into a little stand-off when it came to our candy purchase. Before I elaborate though, I must declare- I don’t like artificial candy! I always feel worse after I eat it. But last night it looked so fun and colorful and well- it was a Sat. night! We had to splurge!